A report by a private research company found that U.S. emissions, which amount to one-sixth of the planet’s, didn’t fall in 2018 but instead skyrocketed. The 3.4 percent jump for 2018, projected by the firm, would be second-largest surge in greenhouse gas emissions from the U.S. since Bill Clinton was president. And so it stings particularly badly to learn from a new report released last week by the Rhodium Group, a private research company, that U.S. emissions — which amount to one-sixth of the planet’s — didn’t drop in 2018 but instead skyrocketed. The 3.4 percent jump in CO2 for 2018, projected by the Rhodium Group, would be second-largest surge in greenhouse gas emissions from the United States since 1996, when Bill Clinton was president. Last week’s emissions forecast is a reminder that, as John McArthur, a senior fellow at the Brookings Institution recently wrote, “Every new unit of economic gain is still cranking out a corresponding unit of environmental pain.” That may be unlikely to change soon, and the “urgent” challenge for 2019, he writes, is to find palatable approaches to drastic emissions reductions that still allow for the kind of sustained economic growth the nation has been enjoying. Until or unless the economy can be decoupled from the emissions associated with driving it, the fastest way to curb CO2 is to produce — and buy and consume — less. Correction, Jan. 11, 2019: This story originally misstated the jump in emissions in the industrial sector. The actual year-over-year increase in industrial emissions was 5.7 percent, not more than 300 percent (which refers to the increase in the rate of change for the sector). An image from an EnerBlu promotional video. Courtesy of EnerBlu. When battery manufacturer EnerBlu announced it would suspend plans for a new factory in Pikeville, Kentucky, the company used an intriguing phrase. “Unexpected geopolitical factors,” the company said, had soured the deal. According to a former executive at the company, those factors tied the rural eastern Kentucky development project to one of the world’s largest companies, the Saudi Arabian royal family and the international uproar resulting from the murder of a prominent journalist. The project quickly encountered challenges with land quality on the reclaimed surface mine site where it planned to construct a facility, but former EnerBlu CEO Daniel Elliott said he remained committed to building in the region. “We would have been able to work through those issues,” he said in an interview with the Ohio Valley ReSource. In the end, though, land quality was not the final straw. Instead, a cascade of events beginning a continent away appears to have doomed the project. Daniel J. Elliott began working in renewable energy in 1991, when he joined Ford Motor Company’s electric vehicle program. At another electric vehicle startup, Phoenix Motorcars, Elliott raised millions to support not just the cars themselves, but the technology infrastructure needed to support widespread use of renewable energy in transportation. Elliott co-founded EnerBlu in 2015 and stepped down from his role as CEO as the company announced the suspension of its Kentucky plans on Feb. 5. The abruptness of events left Elliott feeling betrayed, he said, although he said he stepped down amicably and supports the new CEO. EnerBlu representatives said that a primary potential investor in the Pikeville project had withdrawn, leading the company to suspend plans. The company and state development officials declined to identify that investor. But Elliott confirmed the investor was Japanese conglomerate SoftBank Group. One of SoftBank’s numerous operations is an investment fund called the Vision Fund, which was started to support innovative renewable energy and advanced technology projects. The Vision Fund’s largest investor, contributing a reported $45 billion, was the Saudi Arabian Public Investment Fund, a government-associated entity chaired by Saudi Crown Prince Mohammed bin Salman. The Saudis and SoftBank planned to build in Saudi Arabia the world’s largest solar project, a 200-gigawatt array. The project would require a massive amount of energy storage capacity, Elliott said, storage capacity that EnerBlu would provide. EnerBlu planned to manufacture batteries that were uniquely suited to support solar arrays in hot climates. Although no contracts with SoftBank had been signed, EnerBlu accepted from Kentucky a reported $30 million in tax incentives (and a handle of Maker’s Mark) to relocate its headquarters to Lexington in preparation for the opening of the Pike County facility. But on Oct. 2, 2018, half a world away, Saudi dissident journalist Jamal Khashoggi walked into the Saudi consulate in Istanbul, Turkey, and never walked out. A Saudi citizen, Khashoggi, 59, was at the time of his death a legal United States resident and a columnist for the Washington Post. Formerly a confidant and supporter of the Saudi royal family, Khashoggi had entered self-imposed exile when his critique of the Crown Prince made him a target. Khashoggi was visiting the Saudi consulate in Istanbul to get paperwork he needed to for his upcoming marriage to a Turkish citizen. Bin Salman denied his country was involved in the journalist’s disappearance, but citing mounting evidence, U.S. intelligence officials became convinced that Saudi operatives, likely at the behest of the Crown Prince himself, had executed a grim murder within the consulate’s walls. The international community condemned the act. Suddenly partnering with Saudi Arabia took on a darker tone. Business leaders faced a decision point when the Saudi government hosted a Future Investment Initiative conference in late October. According to Bloomberg, SoftBank CEO Masayoshi Son skipped the investment summit and the Saudis withdrew their substantial contribution to the bank’s investment fund. There would be no massive solar development in Saudi Arabia, and no need for EnerBlu’s batteries to support it. According to Elliott, SoftBank tried to continue plans for another large solar array near the company’s offices in New Delhi, India. But that country’s bureaucracy slowed the project to an eventual halt, he said. EnerBlu spokesperson Xavier Guerin said there had been no binding agreements between EnerBlu and potential investors, but Elliott said SoftBank pulled funding on Jan. 14, days before final contracts were to have been signed on Jan. 20. SoftBank did not respond to a request for comment. SoftBank’s withdrawal caused EnerBlu “significant financial hardship,” Elliott said, and initiated withdrawals from EnerBlu’s other investors whose commitments depended on SoftBank acting as the primary contributor. Those included a New York-based private equity fund and a Qatar-based investment fund, both Elliott and Guerin said. Ashok Leyland, an Indian automobile company, and U.S. electricity utilities including American Electric Power were also interested in purchasing EnerBlu’s technology, Elliott said. EnerBlu’s decision to suspend comes as a major blow to Pike County, which has lost thousands of coal jobs. Pikeville City Manager Philip Elswick said the city was notified on Jan. 30 that there was a possibility that plans for EnerBlu’s development would be suspended. Elswick told the Lexington Herald-Leader that he regretted the loss to the county. The couple lay awake most of that night, afraid their whole house would be destroyed. That was October 4th, but it’s not the first time the Thackers have faced a situation like this. Richard Getty, a lawyer for the Justice companies, disputed the state’s finding that Bevins Branch had anything to do with the flooding downhill. Kentucky Fuel is now accruing $1,500 in state fines every day that it does not complete the required reclamation work. If the work remains incomplete after November fifth, state officials will likely take the company to court — again. A few months later, however, the group’s first major action was aimed not at creating jobs, but at blocking them. In November 2015, the alliance, known as the OVJA, filed a legal appeal to challenge a key permit for construction of the Moundsville Power project, a natural gas-fired plant in Marshall County. The move was puzzling. Backers of Moundsville Power said the project would be a significant boost for the area, providing 500 jobs annually during a three-year construction period and 30 permanent jobs once it was operational. Supporters said the project was a way for residents to capture more economic gains from West Virginia’s booming natural gas industry. The legal action, it turns out, was funded by Murray Energy Corp., one of the nation’s largest coal producers, one of the group’s leaders testified in a deposition in the case. 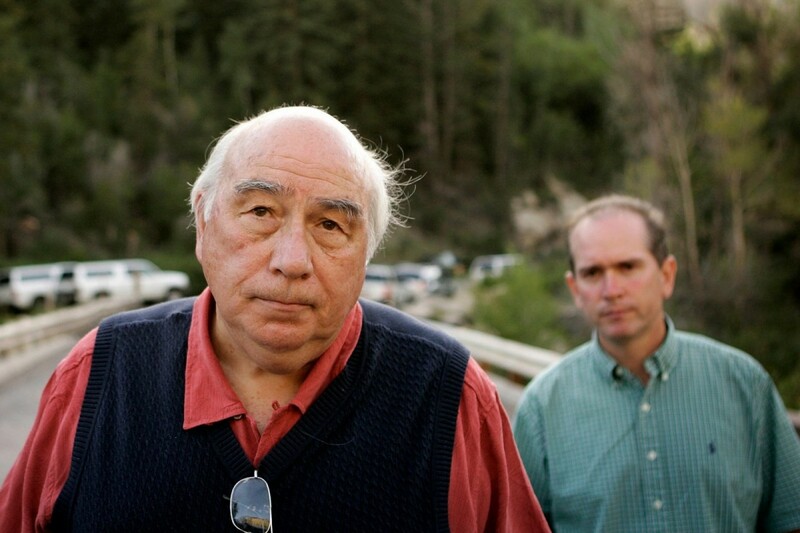 Murray Energy’s founder and CEO is Robert E. Murray, who is among the nation’s best-known advocates for reviving the coal industry and cutting regulations related to it. The OVJA also is seeking to stop two other natural gas power plants proposed for West Virginia, and Murray Energy has acknowledged paying “certain legal fees” for the group. Like the Moundsville plant, the facilities proposed for Harrison and Brooke counties would provide hundreds of construction jobs for several years and then about 30 permanent positions. All told, the three plants would cost more than $2 billion to build. Power plants need several kinds of government permits, and the jobs alliance has focused its legal attacks on air-pollution permits issued by the West Virginia Department of Environmental Protection and utility “certificates of need” permits handled by the state Public Service Commission. Testimony in the power plant cases before both agencies doesn’t reveal details about Murray Energy’s funding for the OVJA lawyers, and current financial records for the alliance aren’t publicly available. Construction has not begun on any of the three projects, at least partly, because of litigation-related delays, developers say. “It’s been very frustrating,” said Drew Dorn, president of Energy Solutions Consortium, the company that was originally behind the Moundsville plant and continues to promote the Harrison and Brooke projects. The influence of Murray and his company on the coal industry’s future is far-reaching. He is a funder and confidant of President Donald Trump. Trump has pledged to revive the coal industry, and Murray has praised the administration’s efforts. During an August rally in Charleston, the president — typically a supporter of large energy projects — touted coal as superior to natural gas. He played up the risk of terrorist attacks on gas pipelines and extolled the virtues of coal. But the OVJA’s approach — fighting against an industry competitor of coal — risks stopping developments that could diversify West Virginia’s economy. The gas plants the OVJA has been fighting would make up for the closure of numerous coal plants across the region that were old, inefficient and unable to comply with modern air pollution limits. The OVJA is certainly right about one significant point: The gas-fired power plants would employ far fewer workers than a large coal-fired power plant. Appalachian Power’s Mitchell Plant, a coal-fired facility south of Moundsville, has about 270 full-time employees, according to a company spokeswoman, compared to about 30 when the Moundsville plant is operational. But Anne Blankenship, executive director of the West Virginia Oil and Natural Gas Association, argued in a recent newspaper commentary that comparisons with coal ignore the broader economic benefits of the gas industry. It was an unusually direct response from one local fossil fuel industry to another. “This argument fails to consider the hundreds of jobs required once that well is drilled, including: Well servicers, compressor station operators, pipeline inspectors, air permit compliance field specialists, environmental compliance inspectors, maintenance personnel, production technicians, division order analysts, accounting staff, reserve engineers and the list goes on and on,” wrote Blankenship, who is not related to former Massey Energy Co. CEO Don Blankenship. James Van Nostrand, a West Virginia University law professor who has followed the cases, said Murray Energy’s financial support of the jobs alliance’s legal fight is “very unusual” but is unlikely to save coal from gas in the long run — and will just cost the state major gas investments. Blocking the gas plants might delay the closure of some existing coal plants that are on the margins of profitability “in the very short term,” Van Nostrand said. But “it’s only a matter of time” before efficient new gas plants “finish off” more aging and inefficient coal plants, he said. To be sure, state environmental groups have a variety of concerns about the growth of the state’s natural gas industry, and a Sierra Club leader spoke against the Harrison County plant at a public hearing, citing growing worry about the release of the powerful greenhouse gas methane all along the gas-production process. But they have not filed formal appeals of the gas plant permits. They have focused their efforts on stopping two new gas transmission pipelines in the state. Jim Kotcon, a longtime state Sierra Club leader, said there is more significant public opposition to the pipelines, largely because those projects are using eminent domain to take private property, an issue that resonates even with many conservatives in the state. “As you may suspect, to have a meaningful chance of opposing fossil fuel plants in West Virginia requires a fairly significant public involvement campaign, and unfortunately, we have a few too many of these projects to take on all of them,” Kotcon said. Robert Murray went to work in the mines when he was 16, to help support his family after a mining accident left his father paralyzed. Later, he studied mining engineering at Ohio State University, then spent many years at North American Coal Corp. In 1988, he and the company parted ways and he mortgaged “everything he owned” to buy his first coal mine, according to Murray Energy’s website. Since then, Murray Energy has grown to become the largest producer of underground mined coal in the United States. Along the way, Murray has clashed with regulators, labor unions, environmentalists and journalists. Over the past five years, as coal’s fortunes declined, Murray doubled down on the industry. In 2013, Murray Energy purchased the major coal holdings of Consol Energy Inc., which was largely exiting the coal business in favor of natural gas. Then, in 2015, Murray Energy bought a controlling interest in Foresight Energy, which has major holdings in the coalfields of Southern Illinois. An early fundraiser for Sen. Ted Cruz’s presidential campaign during the 2016 Republican primary, Murray backed Trump when it became clear he was going to be the GOP nominee, and Murray Energy contributed $1 million to a Trump super PAC and donated $300,000 to the inauguration. When the OVJA filed its application for nonprofit status with the Internal Revenue Service, it said the alliance “is a grassroots organization and movement whose mission is to promote and protect the good-paying jobs in the Ohio Valley region.” It estimated that the group’s budget would be $10,000 a year in both 2016 and 2017. The IRS applications didn’t require the source of the money to be disclosed, and the OVJA didn’t do so. The application did not mention coal, or Murray Energy. But on May 22, 2015, the same day IRS records show that the OVJA officially formed, Murray Energy did what a lot of coal companies were doing at the time. The company announced plans for anticipated layoffs of hundreds of miners. In a news release four days later, announcing the alliance’s formation, Bruce Whipkey, listed as president of the group, cited Murray Energy’s layoff announcement as a reason local residents needed to focus on protecting jobs. Whipkey said the alliance wasn’t against the gas industry, but that it simply opposed tax breaks that local governments were offering to the Moundsville power plant project. Jim Thomas, a retired Wheeling area coal miner and leader of OVJA, has testified that the organization was probably formed before May 2015, but that it wasn’t made “legal” until then. According to Thomas’ testimony at a 2016 Air Quality Board hearing about the Moundsville plant, Murray Energy’s involvement started sometime after Thomas visited one of the company’s mine offices to arrange for the company to fix a problem with his home’s water supply. Murray Energy had taken over providing Thomas water when it purchased Consol’s mines, which had damaged the original supply, Thomas testified. At the time, Thomas was involved in a group called Marshall County Citizens for Better Government, which he and a few of his friends, along with some retired coal miners, started. Its members met at a local diner to talk politics and local affairs, and they made it a habit of attending school board, city council and other government meetings. Then, Thomas said, he and his friends heard about the proposal for a gas-fired power plant to be built in Moundsville. They had watched one local coal-fired plant close and were concerned that more gas plants would cost the area more high-paying coal jobs, while not providing as many gas industry positions. So when Thomas was at the Murray Energy mine office, he met with a company foreman. Shortly after that, someone from Murray Energy — Thomas doesn’t remember exactly who it was — called him and asked how the company could help the group. Thomas said that Robert Murray played no role in forming the organization and never attended any of the group’s meetings. Thomas said he asked his son, Greg, for help with paperwork for the group and with social media. Jim Thomas did not respond to requests for comment for this report. Greg Thomas said in an email that he has never had an “official role” with the OVJA and has never been paid by the alliance or by Murray Energy. “My dad taught me to always stand up for what I believe in, and I am proud of him for being so successful with their efforts,” he said. Lawyers for the OVJA did not respond to requests for comment. The two law firms that represent OVJA also have done work on behalf of Murray Energy in unrelated cases. Five months after the OVJA was formed, Murray gave a speech in which he encouraged Northern West Virginia business leaders to get involved in the group. At an economic conference in Wheeling in October 2015, Murray repeated his frequent refrain against the Obama administration, blasting a “regulatory rampage” that he warned was destroying the region’s mining industry. Murray also targeted the natural gas industry and noted that, just a few months earlier, natural gas had — for the first time — surpassed coal in the amount of electricity generated in the United States. Murray directed his criticism at the gas plant proposed for Moundsville, and he noted that it was only one of several such facilities in the works. About six weeks later, the OVJA filed its first legal action, an appeal of a state-approved air-pollution permit for the Moundsville gas plant. OVJA later said it had 400 members. 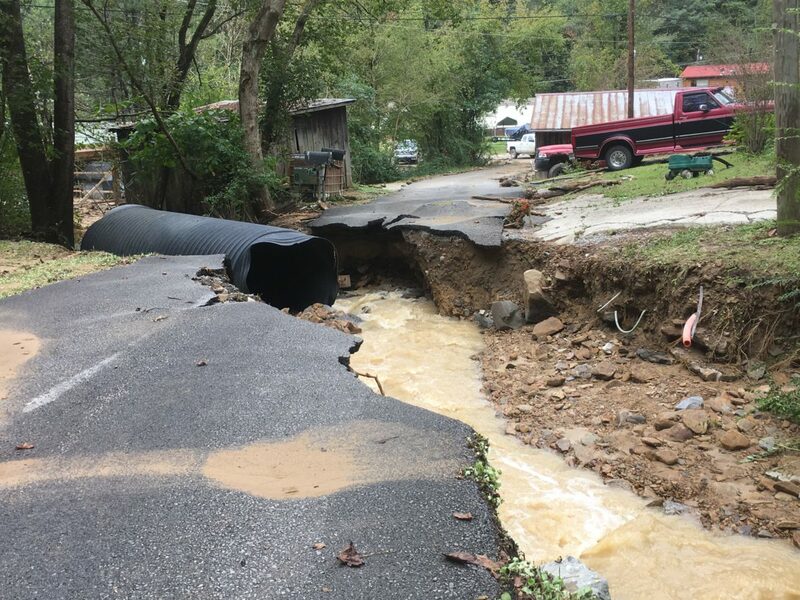 However, the West Virginia Public Service Commission said evidence from a similar case before the Ohio Power Siting Board showed that it had 242 members and that 76 of those were West Virginia residents. This year, the IRS automatically revoked the the OVJA’s tax-exempt status after the group did not file nonprofit financial forms for three years in a row, according to the IRS website and GuideStar, an organization that monitors nonprofit groups. “It leaves the IRS and the general public without any basic information about the organization,” said Holly Ivel, GuideStar’s director of data services. In the power plant cases, it hasn’t always been easy to confirm that Murray Energy was funding at least some of the alliance’s legal challenges. During the Brooke case, a construction union coalition, whose members stand to gain work, wanted records on the challenge filed by the jobs alliance. The Public Service Commission initially refused to force the group to turn over records, saying they weren’t relevant. But when that case came up for a hearing in October 2017, PSC Chairman Michael Albert asked Jim Thomas where the group’s money came from. In the utility commission cases, Thomas and his group focused largely on questioning tax breaks being awarded to the developers by local governments. 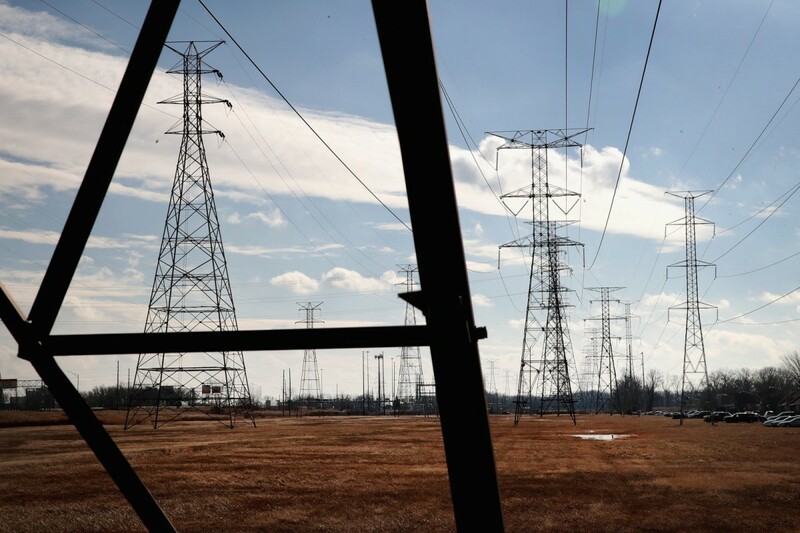 The PSC generally rejected those concerns, saying that the deals still called for the plants to pay more money — in the form of leases for public property and payments in lieu of taxes — than if the plants weren’t built at all. Despite his stated concerns for the environment, Thomas offered confusing answers when asked about his specific objections to the Moundsville plant’s DEP permit during a deposition taken before the 2016 Air Quality Board appeal hearing. “One of the issues that’s been raised is concern about greenhouse gases that would come out of the stack of the Moundsville Power project. Do you have a concern about greenhouse gases?” power plant lawyer Dave Yaussy asked. For the most part, Thomas did not focus on the environmental issues, instead saying his main concern was that natural gas was eating into coal’s market share and that coal provided more jobs — and better-paying jobs — than natural gas ever would. “West Virginia is coal,” Thomas testified. The Murray Energy-funded challenges are having some impact on the gas plant proposals. Supporters of the Moundsville plant, for example, say the project is on life support because of litigation-related delays. Lawyers for the OVJA appealed its air-pollution permit to a state circuit court, where the case was pending for 15 months. Kanawha Circuit Judge Joanna Tabit ruled in November 2017, only after then-state commerce secretary Woody Thrasher — whose agency was not a party — wrote an unusual letter warning that investors were increasingly nervous about delays and asking the judge for an “urgent review” of the case. Tabit, who is now seeking a seat on the state Supreme Court, said she ruled quickly on the case after she was told it was a pressing matter. Later, legislators passed a bill so that any future cases would bypass county courts and go directly to the West Virginia Supreme Court. The OVJA’s action also prompted legislation to require anyone who appeals such a permit to disclose who is paying their lawyers, but that bill did not pass. In the most recent case, the jobs alliance’s challenge of the air-pollution permit for the Harrison plant, the state board ruled on Aug. 24 that the group “failed to offer sufficient threshold evidence” to support its objections to emissions limits and air-quality modeling for the project. The Air Quality Board also ruled, contrary to its findings in the Moundsville plant case, that the OVJA did not have legal standing to bring the appeal. In its decision, the board noted that Jim Thomas testified that he believed four OVJA members live in Harrison County, but that he could only identify the first name — Steven — of one such member, and that this member had not complained to him about any potential health effects of the plant and was not involved in the appeal. “The OVJA, as an organization, has no demonstrated interest in protecting the health of the citizenry or the environment of Harrison County,” the board ruled. And the case about the Brooke County plant is headed for the state Supreme Court, where an oral argument over the alliance’s challenge of the PSC approval is scheduled for early October. Despite West Virginia’s dramatic growth in natural gas production, the state has only three gas-fired power plants, and they are built to run only when there is high demand. Brooke, Harrison and Moundsville would be larger facilities, meant to run during times of normal electricity demand — the first of their kind for West Virginia. Steve White, director of the ACT Foundation, said his group supports the coal industry but believes that, if the gas plants aren’t built in West Virginia, they likely will go to Ohio or Pennsylvania, instead. For White, the issue comes down to this: Many coal jobs have disappeared, and they seem unlikely to return. So why should West Virginia pass up more jobs related to the gas boom?